The Magic Flute is one of the operas with tunes so catchy and recognizable, even those who have never seen a performance of it have probably heard its music. Whether it’s the overture played as background music at the mall on an episode of Buffy the Vampire Slayer, or a music box on an episode of House bringing Papageno’s "Das klinget so herrlich" front and center, The Magic Flute is definitely in the pop culture landscape. 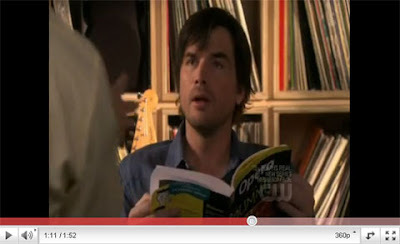 In these clips, the anonymous Gossip Girl compares the drama of the main characters to Flute; Dan and Nate talk about going to the opera, and make a bonus reference to The Ring; and Eric breaks down Magic Flute to opera newbie Rufus, while they listen to "Der Hölle Rache." By the way, we definitely disagree with Eric’s assertion that Flute is "opera for amateurs." While it's a great introduction to those unfamiliar with opera, there's something for everyone in this Mozart masterpiece. More recently in film, that same aria was included in the soundtrack for Eat Pray Love, released last year and starring Julia Roberts. It was an interesting choice of music, considering the context: this very German aria is played to highlight the joy Roberts' character is experiencing while traveling through Italy and savoring Italian cuisine. See the clip below. 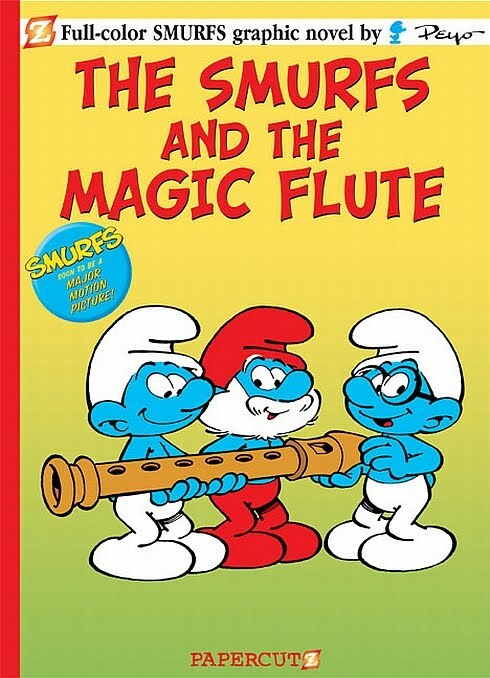 It's not just The Magic Flute's music that has been referenced in film and TV over the years. Several movies, for example, have featured plot lines involving magical flutes--like the 1976 animated film The Smurfs and the Magic Flute. 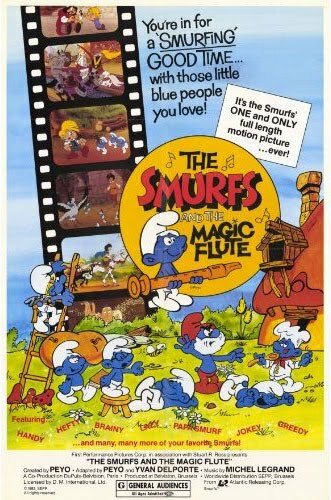 Set in the Middle Ages, the movie focuses on a court jester who discovers a magic flute that, when played, makes the townspeople dance uncontrollably. Sounds innocent enough--until a thief snatches away the flute and uses its powers to rob people of their gold. It's not quite the same adventure as in Mozart's opera, but it's a magic flute nonetheless! The entire movie is available for viewing on YouTube. Have you noticed nods toward Flute that we haven't yet mentioned? We'd love to know, so please share them in the comments! Sorry, but I must take issue with the statement "In 2006, Kenneth Branagh brought The Magic Flute to movie theater screens for the first time"
Hello! Yes, you're right about Bergman's great version, which was a made-for-television film. What we should have said was the Branagh's "Magic Flute" is the first time a film version of the opera was made specifically for the big screen. We'll re-word our blog post to reflect this--thanks so much for the feedback! Bergman uses a scene from "The Magic Flute" in his film "The Hour of the Wolf" that starts right around 5:30 in this YouTube clip. It has a nice little explanation of at least one interpretation of the scene. Love to read such a great blog on flute music! I love it!